Early stage of invagination of the inner cell layer, the endoderm. 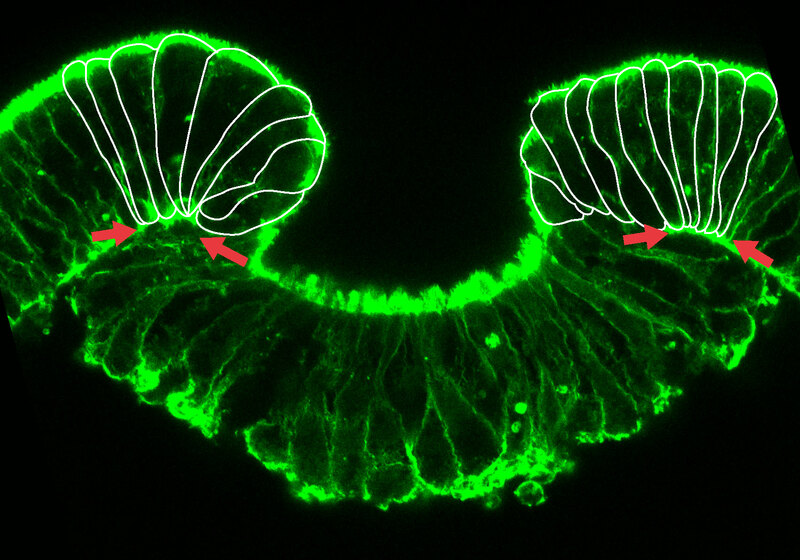 Cells at the margins show a strong deformation (Copyright: Ulrich Technau). 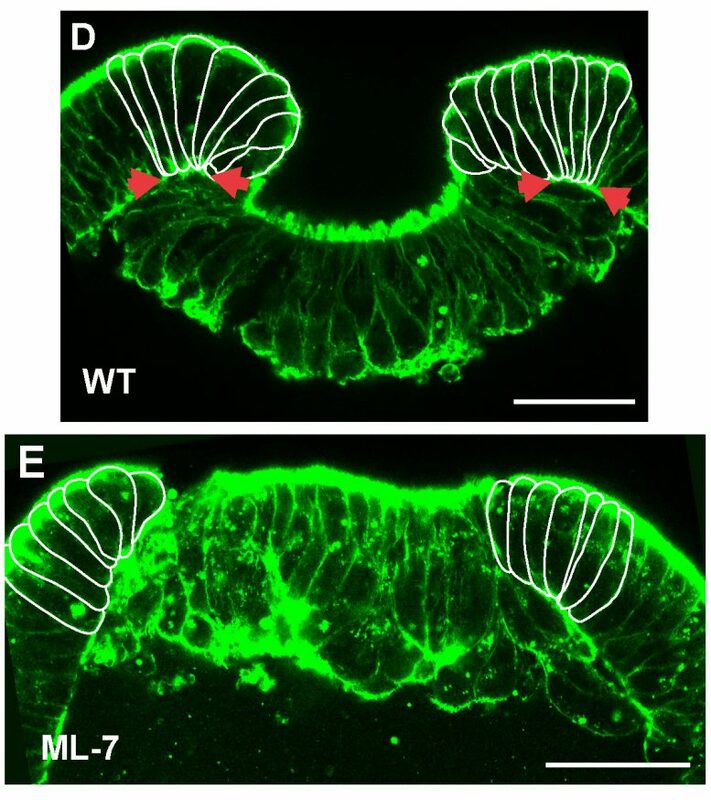 In embryos treated with the myosin inhibitor ML-7, cells at the margin do not deform and invagination is blocked (Copyright: Ulrich Technau). Be the first to comment on "Mechanical Forces Can Contribute to Gene Expression During Development"